We recently reported on Sadiq Khan’s new plans to expand London’s ultra-low emission zone (ULEZ) to include the North Circular and South Circular roads from 2021. As a reminder, drivers within the expanded zone using vans that don’t meet the new emission standards will pay a daily ULEZ charge of £12.50, 24 hours a day, 365 days a year. This is in addition to the daily congestion charge, which starts from £10.00 per day. According to the new legislation, ‘non-compliant’ vehicles include diesel vans that do not meet Euro 6 standards; those that are approximately six years or older in 2021, and petrol vans that do not meet Euro 4 standards, roughly the equivalent to being fifteen years or older in 2021. 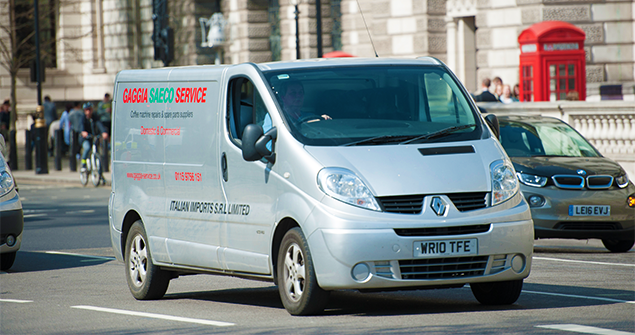 While we appreciate that the plans are a firm step in the direction of combatting air pollution, we were interested to see how these new charges would hit the back pocket of van drivers in London and the South East that work in the capital. Before we even analysed our data, we knew that the majority of our customers would be hit hard, most of the quotes we process are for older vans, however, the results were pretty staggering. 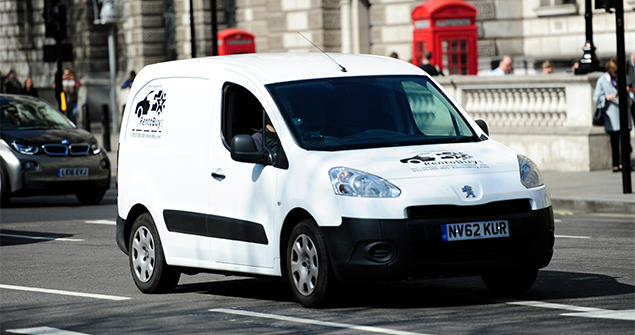 Last year, we processed quotes for 24,093 van drivers in London and the South East, a hefty 89 per cent (21,415) of which for were for non-compliant petrol and diesel models. Non-compliant diesel models made up 87 per cent (20,932) of the policies quoted, with non compliant petrol vans accounting for the remaining 2 per cent (483). With these statistics in mind, it’s easy to see how the increased charges, amounting to £22.50 per day, will have a huge financial impact on the majority of local tradesmen that work in the capital. For example, the average non-compliant van driver, with 21 days holiday per year and working 239 days in London, can expect to pay £5,377.50 per year to drive in the capital, which is a considerable slice of their bottom line. According to the Federation of Master Builders, the average bricklayer’s salary in the UK is £42,034, that means that the new legislation would reduce their income by around 13 per cent. “It’s easy to see how, a seemingly small increase can have a huge impact on a van driver’s annual outgoings”, said Jade Isabelle, Commercial Director at The Van Insurer. Will you be affected by the new legislation? Maybe you’re planning on switching to a hybrid model before the plans kick-in? Whatever your opinion, we’d love to hear your thoughts. General construction operatives earn £32,392.